The 2014 summer transfer window, the first of two (plus the winter transfer window in January) in the just began 2014-2015 season was shut on the 31st of August. Although none of the trades surpassed Gareth Bale’s 2013 $130 million move from Tottenham to Real Madrid, the period still witnessed some big-money moves. 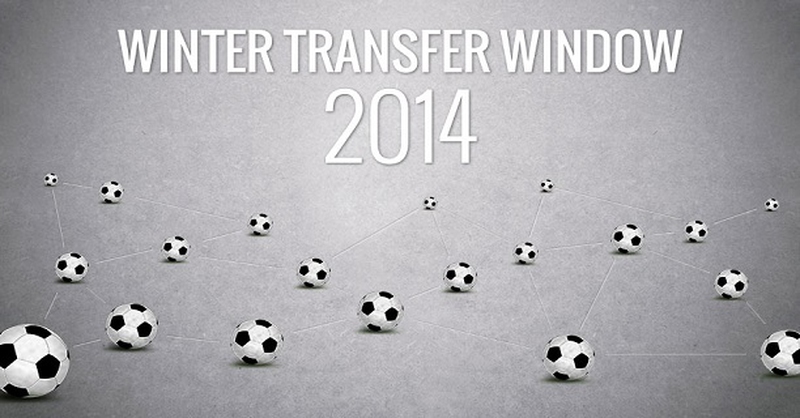 This list contains the top 10 most expensive soccer trades this season. With Chelsea keen to bolster their squad ready for an onslaught on the English League title this season, they parted with 47 million dollars to bring in Fabregas from Barcelona. The 27 year old, who had previously spent 8 year with London rivals Arsenal is respected for his pinpoint passes and vision. Having endured a catastrophic 2013-2014 season in which they finished 7th, Manchester united decided it was time to loosen their purse strings. The signing of pass master Ander Herrera from Athletic Bilbao at a cost of 48 million dollars to bolster their midfield was the first of a series of multimillion dollar trades by the club. The departure of Patrice Evra following the conclusion of last season had left the Red Devils short of options at left back position. This necessitated the signing of teenager Luke Shaw from Southampton at a fee of $49.7 million making him the most expensive teenager in the history of soccer. He is widely regarded as one of the most promising left backs in the game. The usually frugal Arsenal paid about 52.6 million dollars to bring Chilean forward Alexis Sanchez to London from Barcelona. Alexis Sanchez is renowned for his lethal pace and scoring prowess. He had enjoyed a fruitful 3 year spell with Barcelona in which he scored 47 goals in 141 games. Following a season in which lack of attacking prowess was heavily cited with their missing out on the league title, Chelsea decided to flex their muscle and bring in Diego Costa from La Liga champions Atletico Madrid at a cost of $57.9 million. The Spanish striker was influential in Atletico’s Liga win and progression to the UEFA Champions League final having scored 36 goals in 52 games last season. With Man City short of options to partner mercurial captain Vincent Kompany at center back, Mangala who had enjoyed three fruitful seasons with FC Porto was signed by the habitual big spenders at a price of 58.5 million dollars. Despite enduring a bit-part Chelsea role last season and a torrid world cup experience with Brazil, Luiz became the most expensive central defender in history when Paris Saint Germaine paid Chelsea 65 million dollars for his services. The 27-year-old, famous for his stylish locks as much as his defending prowess, will be linking up with long time friend and Brazil counterpart Thiago Silva at PSG. Di Maria was arguably Real Madrid’s one of Real Madrid’s stand out performers last season and his departure came as a surprise. However, the Manchester club who had started the season with a worrying three game win-less streak will feel the $98.6 million they paid for the Argentine’s signature is money well spent. James enjoyed a dream 2014 World Cup in which he scored 6 goals in 5 games to top the scoring charts and announce his arrival on the world stage in emphatic fashion. Spanish Giants Real Madrid once again flexed their unrivaled financial muscle to secure the signature of the promising 23 year old Colombian attacker at a cot of $105 million.